SOLD OUT! Thank you for supporting the Historic Village at Allaire. Join us April 7th for “Opening Day Program” and “Spring Lantern Tours!” Pre-registration is HIGHLY recommended! Join us for one of our most popular events, our annual Easter Egg Hunt and Festival! A day of Easter fun for the entire family! This year we have over 10,000 eggs on the village green. Hunts will take place every 15 minutes between 11:30 am and 4pm. Children will be grouped according to age, into the following categories: 0-1 (with an assisting adult), 2-4, 5-7, and 8-10. Pre-registration for this event is HIGHLY RECOMMENDED; all members of your party must have tickets, not only the children participating in the hunt. Tickets are $6 per person, and children under 1 year old are free. Registration and Ticket sales begin in the Visitor Center (Row Houses) at 10:00am. Egg Hunt times are assigned to you at registration day of event. 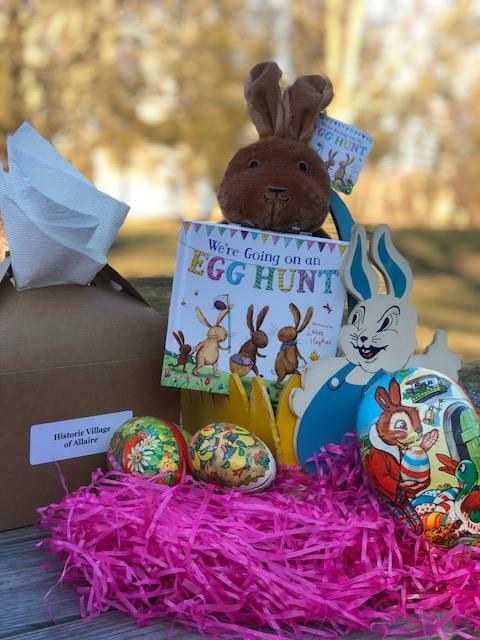 – Continous Easter Egg Hunts, with children grouped according to age. Visit the General Store to purchase an Easter basket and/or bonnet, visit our decorating station, and participate in our bonnet parade at 3pm! Prize awarded for best bonnet. And don’t forget to stop by the bakery to guess how many jelly beans are in the jar. If you guess correctly, you win the jelly beans! And the jar! Winner will be announced at 3pm in front of the General Store. Food service onsite! Grand Re-Opening of our Village Bakery with specialty cookies and baked goods! Get a combo ticket that includes general admission + a fresh box lunch (Adult and Children Options Available). Choose from none freshly prepared items!!! Pickup at the Allaire Bakery! NEW AND CONVENIENT FOR 2018!! !